Doss Pares aims to be the new look and taste of a new generation of pares food houses and tapsihans. They offer traditional Pinoy food that you would usually find your neighborhood eateries but made a little bit upscale. 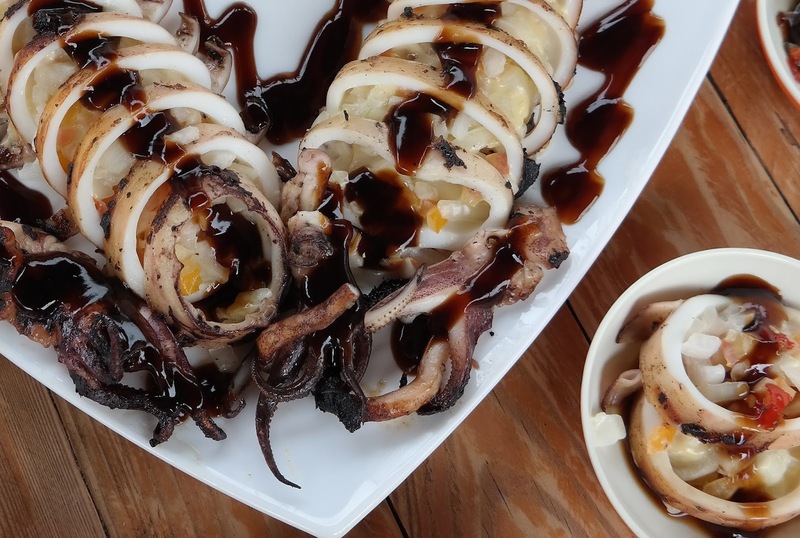 We tried their Sizzling Squid which is stuffed with veggies and cheese. Yes, cheese and everyone enjoyed that addition as you wouldn't normally find that in your usual sizzling squid dish. The sauce had a well-balance savory salty and sweet and the squid was easy to chew. I think this would be best paired with a steaming cup of white rice for the perfect meal. Doss Pares' Sizzling Balut is the gourmet type. Balut is duck-embryo and one of the exotic delicacies of the Philippines. It is considered as a famous street food. But to happy hour buddies chugging the day’s work away it is one of the perfect matches for beer. 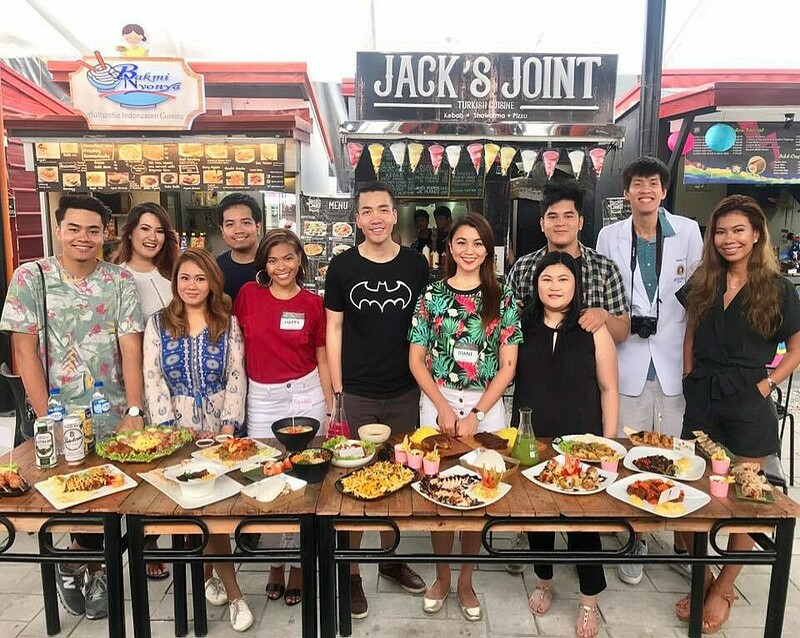 But times are changing, and tastes have evolved, now balut becomes some of the country's restaurant's gourmet dishes. I personally don't eat balut, only eat the soup that it has and the yellow part. I am more of the penoy kind of person. The sauce that goes with this almost tasted like the sauce on the sizzling squid.